[by Kim Hyo Jin] The luxury spa care brand MAXCLINIC will participate in the ‘2017 Cosmoprof Asia Hong Kong Beauty Expo’ held at the Hong Kong Convention Center from November 14th. The ‘2017 Cosmoprof Asia Hong Kong Beauty Expo’ is the world’s third largest beauty exposition with more than 120 countries participating and it plays a key role in entering the Asian beauty market. 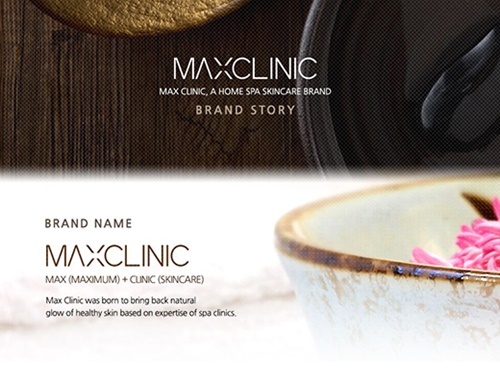 The brand MAXCLINIC, developed by esthetic spa specialists and cosmetologists, will increase its contact points with overseas buyers and enhance its position as Korea’s leading brand. In addition, they will participate in ‘2017 Moscow InterCHARM International Cosmetics Exhibition’ will be held in Moscow from October 25th to 28th in response to the love calls of buyers from all over the world and represent the true worth of K-Beauty to the world. 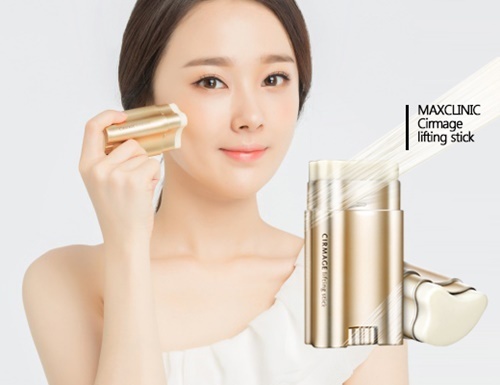 MAXCLINIC is a brand that boasts solid position in Korea by introducing new products that doesn’t exist in the world under the philosophy of ‘Optimized Healing Skin Care for My Skin’. 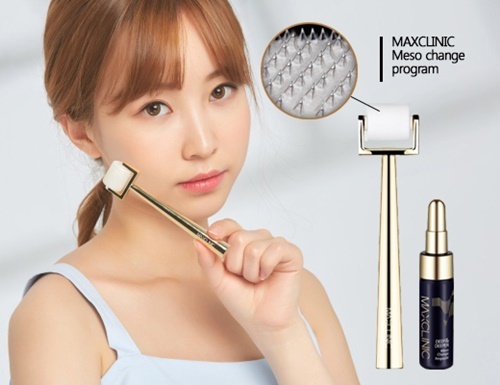 Along with the ‘Meso Change Program’, known as actress Han Hye Jin’s secret to her hydrated glowing skin, products such as the ‘Cirmage Lifting Stick’, which provides a comprehensive massage effect, ‘Oil Foam Cleanser’ called ‘National Cleanser’ and ‘Miraclinic ampoule dressing contouring object’ are attracting attention. The Meso Change program is a device with numerous thin needles, which consists of a hyaluronic acid needle roller and a dermis collagen ampoule, which is a product of the MTS procedure that induces collagen production by stimulating the skin surface. Apply high-concentrated ampoules containing collagen, hyaluronic acid, and ceramide to the skin evenly, then use the roller. The key principle is to induce skin turnover through the fine irritation of the needle roller, and the hyaluronic acid needle form attached to the roller makes 1000 penetration holes in the skin with only one rolling, and is directly transmitted to the epidermal or the dermal layer. The Cirmage Lifting Stick is a ‘melting meridian stick’ that combines cream and massage into one. When you lift and massage your skin with the three sides that has been designed according to the groove of the skin, the 17 peptides and collagen ingredients in the stick and will provide a lifting effect. It is a 3 IN 1 all-in-one product with lifting, anti-aging and infiltration management combined as cosmetic and device form. It is a well-recognized product that won the silver medal at the world-renowned ‘2017 IF Design Award’ and the world’s three best trade fair ‘Monde Selection’, and it has gained huge popularity in Asia through social media. An oil foam cleanser that combines the benefits of an oil cleanser and a foam cleanser in one. It cleans up the make-up with oil massage, and it turns into foam cleanser wet you add water to clean the waste in the pores so it is a product that can used for double cleansing at once. It is an innovative formula that creates a bubble when the product comes in contact with water, and it easily provide home spa care with the know-how gained from actual spa management. In addition, high natural-derived vegetable oil content and hyaluronic acid oil capsules completes healthy and clean skin. 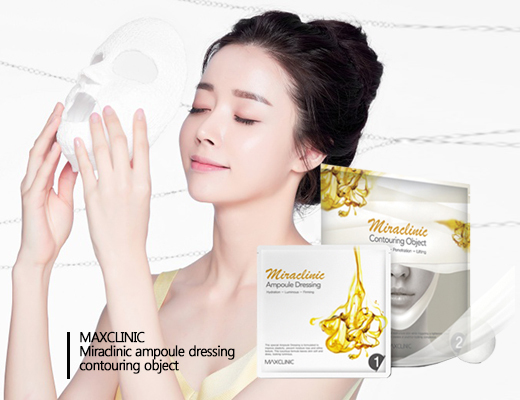 Miraclinic ampoule dressing contouring object is a gypsum plaster mask pack that provides slender, three-dimensional and high-quality contour care. Gypsum management effect is immediate and requires professional skills. Therefore, it is difficult to manage at home. Previous articleQueen is back! Uhm Jung Hwa to make comeback featuring Lee Hyori & Jung Yeowon.